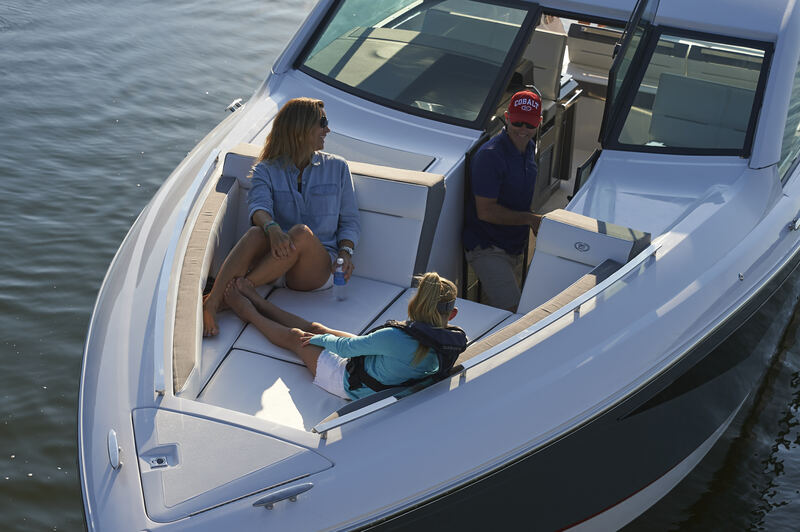 The Cobalt A36 is the perfect example of a boat built to cater to boaters and families who are looking for more than a traditional bow rider. This vessel is great for anyone who wants to island hop, take trips down to the Keys, or just cruise the intercoastal with friends. 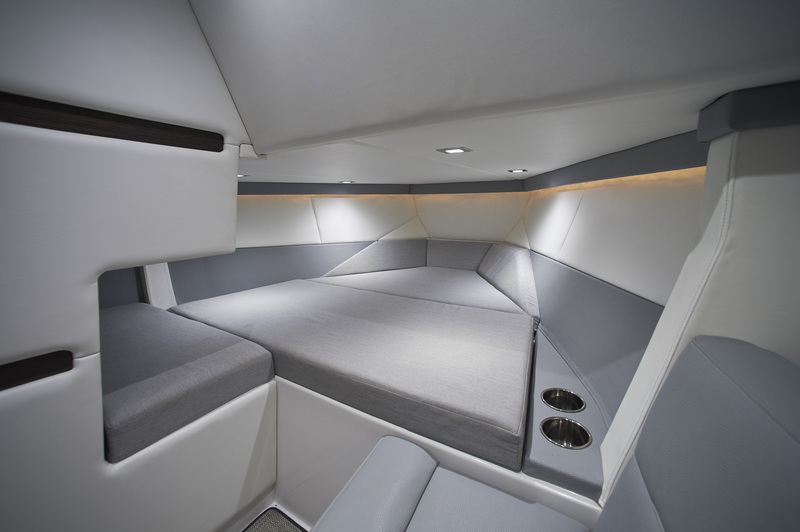 She comes loaded with features that are certain to please, including: standard twin 12” Garmin screens, Auto Pilot, and a cabin entertainment package to keep kids and guests entertained. Bow handrails on either side along with drink holders give passengers a safe and cozy seating area. The Cobalt A36 is perfect for entertaining. Passing through the wide dual console walk through brings you in to a spacious and multi-purpose, air-conditioned cockpit. While underway, every passenger has ample space to feel secure but comfortable. The cockpit also has the option to be completely enclosed should you and your guests run into some bad weather. On the A36 there are no bad boating days. While at anchor, lounging and socializing is a breeze. Watch your favorite movie on the water or grill up some lunch while you chat with your friends. You can really let yourself relax and enjoy the day on this beautiful vessel. The port console offers a very spacious head compartment with plenty of headroom. It includes a molded in counter and sink, with standard Vacuuflush marine head. Freshening up for dinner after a long beach day is more comfortable than ever with the cushion that goes on top of the head to sit while changing or applying makeup. The above head storage let’s you leave all necessities on the boat ready for the next adventure. Almost every seat on the Cobalt A36 is equipped with storage underneath. This conveniently eliminates the need to take all your boating supplies on and off after each use. Just set it and forget it! The ergonomic sink and refrigerator behind the helm seat makes it easy and convenient to load and prep snacks and lunch for the day. It really does feel like a home away from home when all the same amenities are at your fingertips. 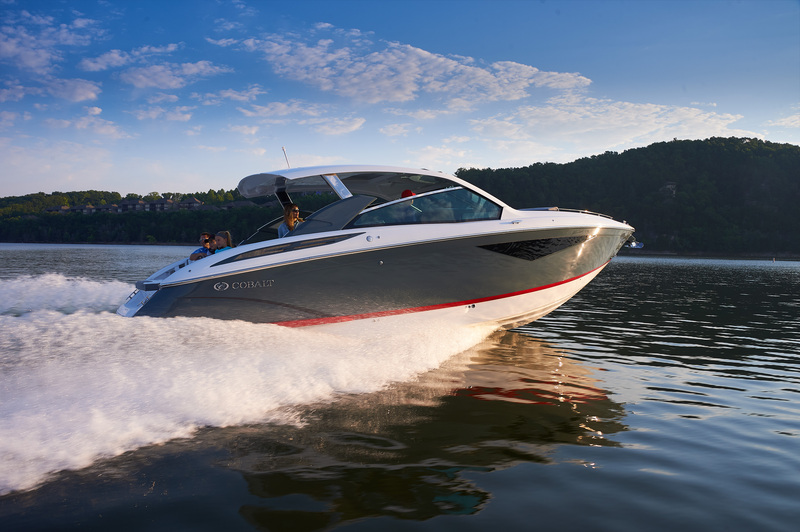 The Cobalt A36 is powered by 430hp Volvo Penta inboard/outdrives, delivering superior durability, reliability, longevity and performance. You also have the choice of Volvo 400hp diesel engines. 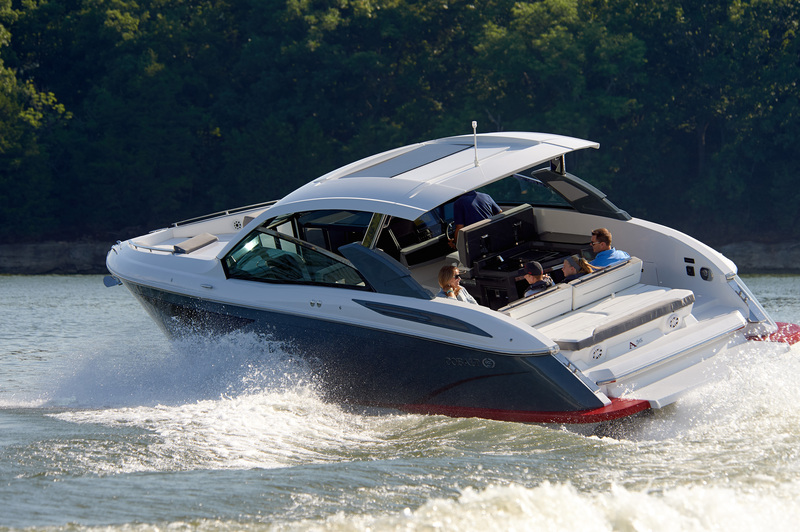 She’ll easily reach above 50mph with twin 430hp engines. Cobalt boats set a completely new standard for strength, comfort and versatility, in the bowrider market. Years of combined experience from top engineers and craftsmen are built into each and every vessel which is why even the smallest models deliver the performance, safety and reliability usually reserved for much bigger boats. 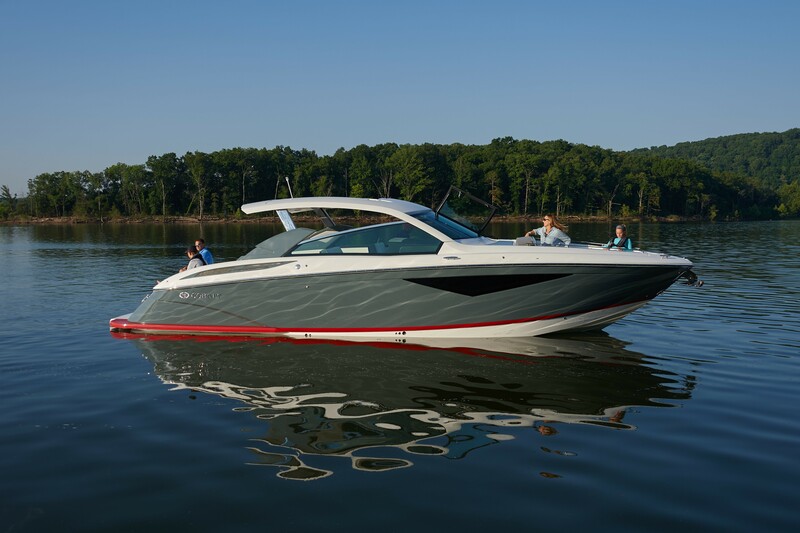 With just a glance at the shape of the hull on a Cobalt A36, you can immediately see the difference. A unique deeper V is necessary for clients who choose to do their boating in the Gulf. Traditionally, bowriders are more often found in fresh water, but this A36 will slice through the salty chop of the Gulf with no problem. The difference in ride quality comes from the Kevlar reinforced keel and sixteen layers of hand-laid fiberglass in the hull. This gives the A36 one of the quietest rides you will find on a bowrider. Whether exploring Tampa Bay or the navigating the length of the Gulf coast, the Cobalt A36 is perfect for any boater unwilling to sacrifice luxury or comfort.